The watermelon is the most creative humiliation I've seen in a while. 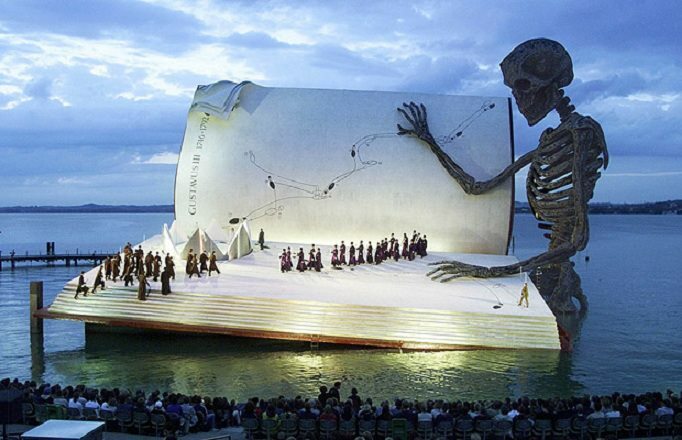 The Stage with the enormous skeleton is in Bregenz, Austria. 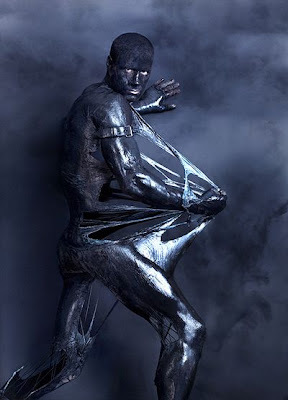 They do amazing outlandish stages like this every 2 years i think. Check out the pictures on their webpage. One year the head and torch of the statue of liberty rose out of the water.